The theme this week is dark alternate realities: the one where your friend is the evil king, the one where your dead sister is a prophetic ghost, and the one WITH NO ALCOHOL! 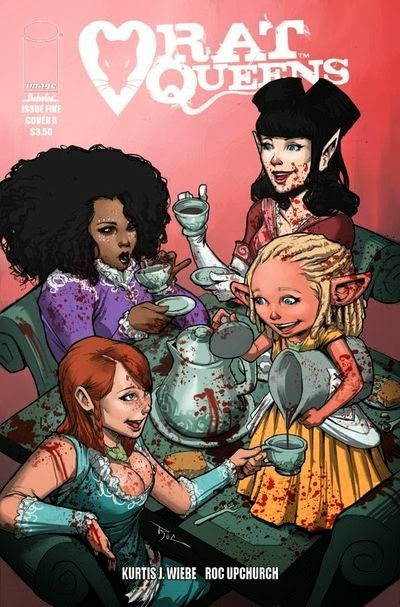 Can you guess which one the Rat Queens have to visit this week? 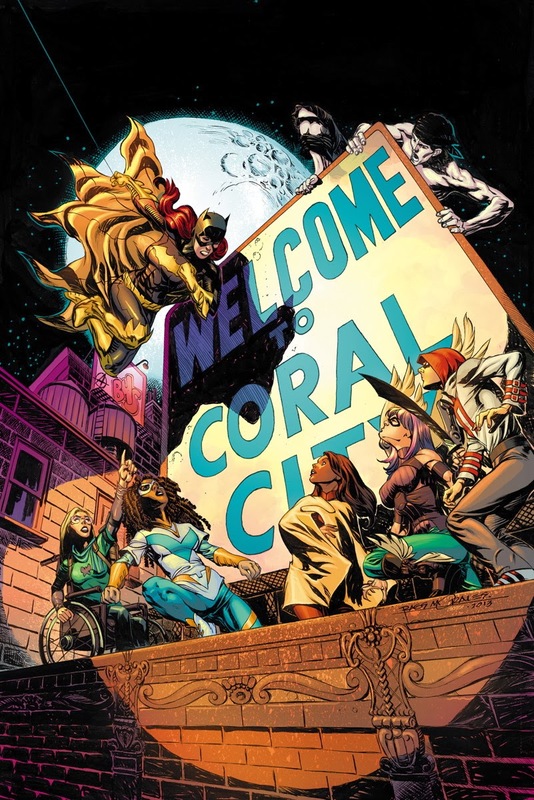 SuperQueeros: all that's lesbian, gay, bisexual, transexual, transgender, and queer in comics today! Last week I missed a couple of issues that came out: Life with Archie (Kevin Keller and Clay Walker) and Rachel Rising (Aunt Jonny-in-a-dog). This week I've got 7 books under the cut, so you might be reading until next week even if I didn't get all of this week's... SuperQueeros: all that's lesbian, gay, bisexual, transexual, transgender, and queer in comics today! I think there might only one be 'queero this week in comics... But never fear, there's a new number one, a favorite artist's debut, and the next installment in a queer-inclusive title here on... SuperQueeros: all that's lesbian, gay, bisexual, transexual, transgender, and queer in comics today! 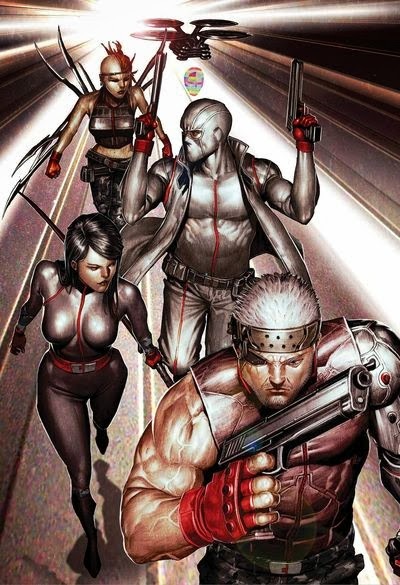 Following the events of "Hope stabbing Bishop before forgiving him for trying to murder her a lot," Psylocke and Cable have united their X-Forces and recruited Marrow and a hover-box with a holographic head (A remote-location Dr. Nemesis drone? Or Forge? Or even Box? OR MAYBE A SOUPED UP MARTHA JOHANSSON????). 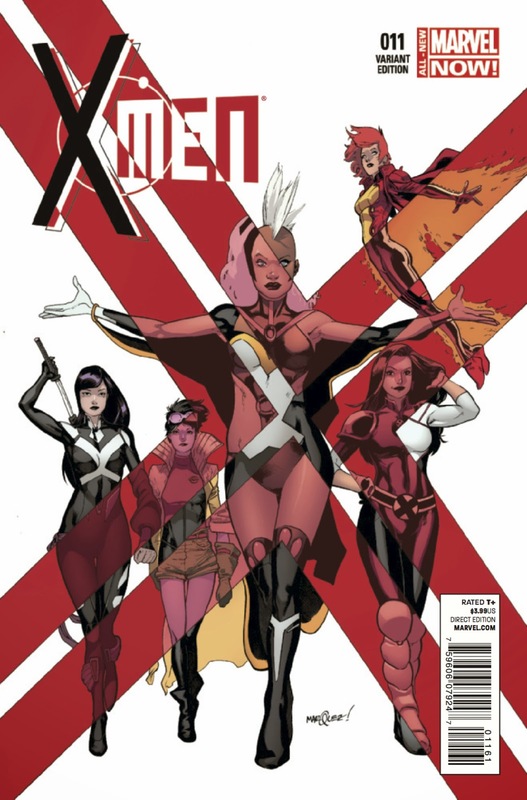 Now they're ready to be the Secret Avengers of the X-Men! Who will they beat up first??? It's a week for expanding casts! 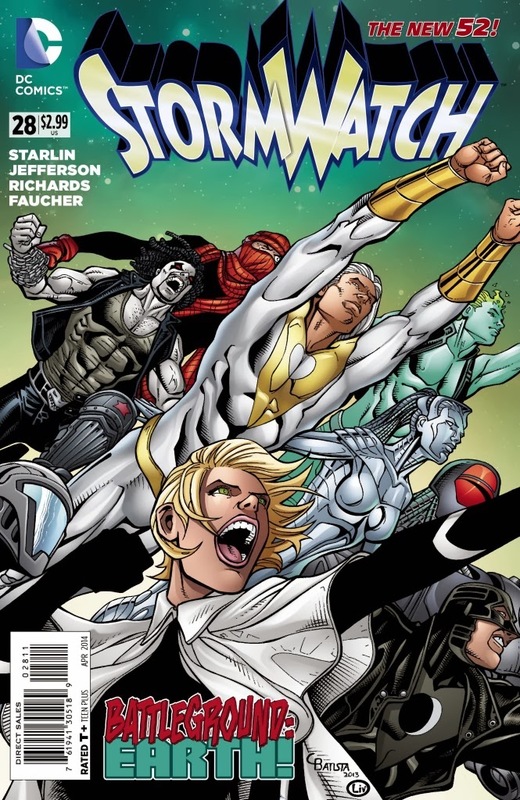 Relatives and prospective members show up in Movement, former enemies join the fight in Stormwatch, another new old face graces in Earth 2, and Kamala Kahn debuts as Ms. Marvel! (That last one isn't a 'queero title, as far as I know.) It's an exciting time for... SuperQueeros: all that's lesbian, gay, bisexual, transexual, transgender, and queer in comics today! Batgirl guests and we meet Burden's brother!!! So, do you think he'll be human, or monstrous? 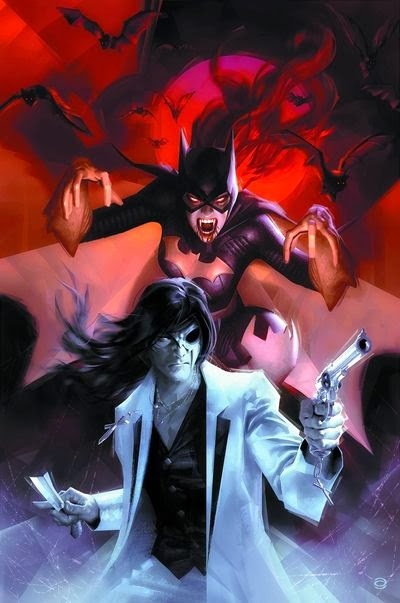 And what can Batgirl, still under the impression that she murdered her brother, tell Burden about family conflict?